I have been holding a workshop in the Xmas period since 2000. I hope that artists choose to spend their holiday period with a moment of work in mind as the New Year changes over each year. 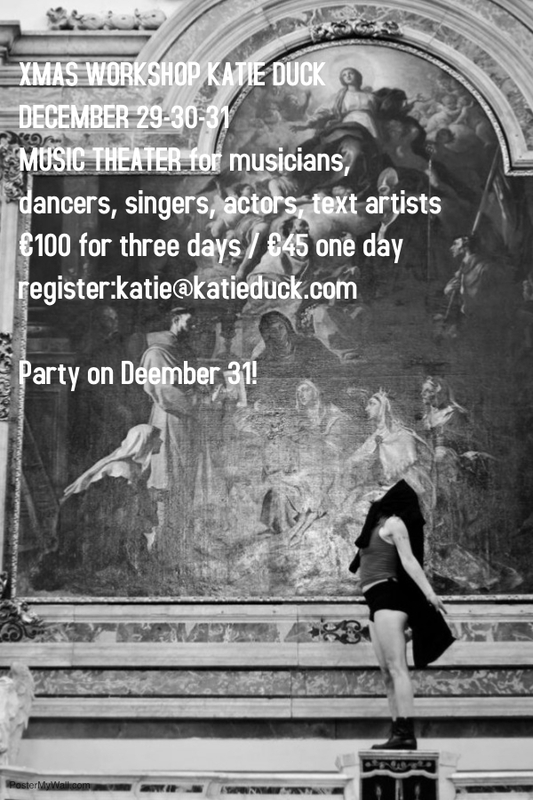 For this Xmas I do a Music Theater workshop, in the OT301 main space. I have been investigating theater, dance, text, object and music in real time performance since the mid 70″s. I take a microscopic view of the role improvisation plays in real time performance combining my background in the performing arts with my curiosity in brain studies, music and movement research.